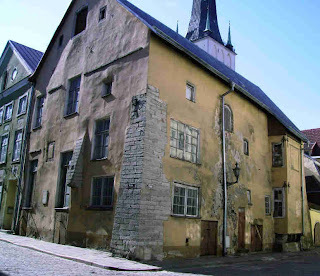 Someexamples of typical 15th/16th century merchants houses. The bottom example is known as the Three Sisters and is now an expensive hotel. 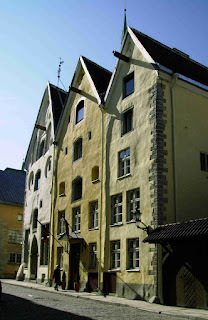 These houses combined domestic accmodation with warehousing; similar buildings are found in many of the towns that once belonged to the Hanseatic League.